Choosing a hypnotherapist to help you understand your own thoughts and behaviours is a very wise investment, although not without it’s pitfalls. Choose a hypnotherapist wisely and you could well be on your way to unlocking personal resources and surprising yourself. No one can make that choice for you – it is difficult to help those who can’t help themselves. But which one to go for? Obviously, location, cost and reputation are important when choosing a hypnotherapist. If they’re someone you feel you can trust or have been recommended, the location and costs aren’t as important. This is particularly so when considering the life changing effects of good change work. Its important that you don’t cut corners or respond to ‘dazzle’ because you’re likely to not only not get lasting results, but also have your perception of hypnotherapy tainted forever. If this happens, then you’ve just made it much more difficult – you’ll need to have your belief restored before getting anything out of it in the future. Marketing is usually the first thing you will come across. Remember that hypnotherapy brochures and websites are normally geared towards the ‘masses’ so don’t worry if your problem is more unusual or not mentioned in the list of benefits. You should get a good impression though of where the hypnotherapist is coming from. Are they a hypnotist who dabbles in therapy, or a therapist who dabbles in hypnosis? Are they a “One session cures all!” sort or someone a little more professional? Are they male or female – and which would you prefer? Are they a young, dapper ‘expert’ or an old, ‘esoteric’ sort with windchimes etc? Practitioners of hypnotherapy vary in a big way. Always check for hypnotherapist training certification, background etc. ‘Losing control’ is a common myth of hypnosis, as you can’t be made to do anything against your wishes. If at any stage you feel you are vulnerable, feel free to discuss your concerns with the hypnotherapist, or ask to bring someone else along for reassurance. Some hypnotherapists record sessions to protect against false accusations, but would inform you of this (as part of the Data Protection Act) before starting. Don’t be too eager for instant results or miracles, as different hypnotherapists have different styles and methods of working. The direct suggestion technique may actually provide pretty strong instant results for some situations, but others require a little more work. Milton Erickson, who is widely thought of as the greatest hypnotherapist of the twentieth century, achieved great results in many different ways. Clients would contact him months or even years after treatment, upon realising how significantly the session had affected them in the long term. Then again, he lived in a time and place where people would actually write letters asking for help (now, two line emails usually reading “Cn hypnthrpy hlp? If so- hw mch wll cst?” are more common). Generally, you are in very good hands if choosing a hypnotherapist with competence, and will learn some interesting things whatever the change is that you would like. The following is a very sporadic collection of things to look out for or be aware of. Of course, they are irrelevant as nothing could be more of a useful guide than your own intuitive judgement. 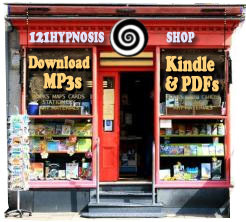 Some hypnotherapists are well trained and good at what they do – others are awful and don’t last a cycle of the Yellow Pages (there is a very high turnover). The problem is that because hypnotherapy looks like a lucrative profession (because its marketed that way by trainers) people get attracted to it for the wrong reasons and use it to escape their dull day jobs. So you get lots of middle-managers, sales people etc turning to hypnotherapy training, completing a minimal course to get a meaningless certificate, and then charging the earth despite having little intuition or human awareness. I always maintain that results are the best measure of any therapy. It is perhaps safer when choosing a hypnotherapist who is specially trained, rather than another health professional who has only dabbled in hypnosis – they often don’t have a clue but think they do so you can get left with a false impression. On that note, I have had many clients who’s doctors told them to keep smoking, or were told ‘hypnosis is a load of rubbish and won’t help your anxiety – here, take these pills instead”. You should choose a hypnotherapist who has supplemented their knowledge with more than one training school – preferably in different locations (or even countries). Hasn’t the Hypnotherapist already read the Script? As hypnotherapists should be trained to be acutely aware of your communication on all levels, they should be good at being receptive and responsive to your needs. The hypnosis session then becomes a very organic, intuitive adventure that revolves around you. For this reason, I find scripts, and any use of scripts in a professional hypnotherapy setting totally ridiculous. They are better suited to friends who are having a go at hypnotising each other. If your hypnotherapist starts reading from a script, they will probably not be paying much attention to your responses, and not notice what is and isn’t working. Sadly, many hypnotherapists rely on scripts, because they have had very poor training and think reading a script on its own will actually cure your problems. There isn’t much wrong with this – unless the hypnotherapist is charging a lot, in which case I do think its wrong. Similarly, an old fashioned approach to hypnotherapy is the use of direct suggestions. Any results achieved by such methods are usually short-lived as they do little to change your underlying behaviour or thought patterns. Examples are ‘you will stop smoking’. This is clearly not useful in addressing the underlying needs, motives, fears and desires of a smoker. A well researched hypnotherapist should be able to work so that you are consciously unaware of most of the change work that is happening. Is the Hypnotherapist a Natural – or Supernatural? I like to keep things well grounded and down to earth. However, when choosing a hypnotherapist you may notice some hypnotherapists seem to venture from hypnosis into other alternative therapies – as far ranging as dowsing and astrology. If this is to your taste, then there shouldn’t be a problem. I personally think that as hypnotherapy is about abolishing a person’s psychological limitations – so an environment that is heavily belief oriented may be a hindrance. Don’t be put off by clinics that provide hypnotherapy among a long list of alternative therapies, some excellent hypnotherapists may just be renting their own practice from such clinics. However, a long list of wide-ranging therapies under a single practitioner should raise suspicion – are they really going to be a master of any single discipline, or have they attended too many training events and become insecurely hungry for pseudo-qualifications? The hypnotherapist facilitates you getting what you want. It can be difficult to sometimes resist enforcing your opinions or world views on others. The hypnotherapist is professionally trained to be entirely focussed on you, and what you want. They should respect and accept you completely, without bringing personal judgement into it at all. There is a fine line between sharing wisdom and enforcing your own beliefs. Who does the work, you or the Hypnotherapist? Some hypnotists, including some hypnotherapists, say that ‘all hypnosis is self hypnosis’. Whilst to an extent this is true (hypnosis is something you have to allow to happen) There is a big difference between self-hypnosis and hypnotherapy. It is true that a lot of resource and insight comes from within the client, as they are the focus of change work. But placing too much emphasis and dependence on the client just seems like a way to offset the work. Good hypnotherapy depends on the resources and skills of both. The results obtained from a hypnotherapist can be near impossible to achieve by yourself without a good understanding of the mind. Introspection and self-analysis are very limited, because your subconscious and conscious go round and round. It is circular, with no anchor to reality or outside awareness. A hypnotherapist can recognise things you may be blind to or take for granted, prevent you from wandering into your own subconscious traps, and direct hypnosis in a fruitful way. It is like a car mechanic saying ‘all car engineering is self-car engineering – the car actually fixes itself, it just uses my tools and hands to do it’. Some hypnotherapists (usually the ones who maintain that all hypnosis is self-hypnosis) will try to blame you if they can’t get results. If you are told that you are ‘resistant’ then this is another way of saying that the hypnotherapist doesn’t have the range of flexibility to work with you. They certainly should never attempt to belittle you or make you feel inadequate because of this. If this is the case then they are clearly more interested in their own ego rather than yours. There is also a tendency for hypnotherapists to talk to you as though someone had just died, in a soft sympathetic (or patronising) voice. Like… everything… is just… so… serious…. you know? This makes some people want to burst out laughing, and should this happen, the hypnotherapist usually reacts defensively and tells them they are resistant or have a ‘deeper issue'(Grr!). Feel free to tell the hypnotherapist what you would prefer, if a less monotonous or more natural voice would suit you, tell them. The Hypnotherapist Register is a good place to start. Good luck when choosing a hypnotherapist, and remember to trust your instincts. I think it may be a good idea to edit the word crap when talking about subjects you do not have a connection with. It would be as insulting to you if someone called your talent crap just because they didn’t understand it. Thanks for the tips for choosing a hypnotherapist. I have a lot of depression and anxiety issues, and I am looking for somebody that can help me work on them. I heard hypnotherapy could be helpful, so I am trying to find somebody that does it. I like that you mentioned to find somebody who has special training and specializes in hypnotherapy. That way, you can be sure he has the knowledge and expertise necessary to do it right.